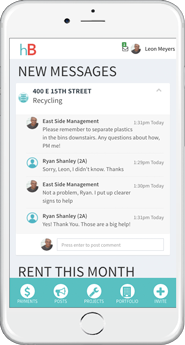 Communicate privately or publicly with neighbors, staff, or the board - while keeping a record of all your interactions. Organize your maintenance projects, board minutes, and compliance forms all while keeping an accessible record of documents. 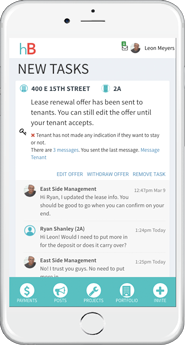 Manage your unit data, building data, and financial records with pre-scheduled alerts and reminders while centralizing all of your contacts.